Remember Calum McSwiggan? We understand if you don’t, so here is a refresher. Calum McSwiggan is a gay YouTuber. On June 29, 2016, he went on social media and claimed he was gay bashed after a night out in West Hollywood. Last night was the worst night of my life and I’m really struggling to find the words to talk about it. After one of the most wonderful weekends at VidCon we went out to a gay club to celebrate, and towards the end of the evening I was separated from my friends and beaten up by three guys. The authorities should have been there to help and protect me but instead they treated me like a second class citizen. With three broken teeth and six stitches in my forehead, I’ve never felt so terrified to be a gay man in the public eye. However, police immediately refuted those claims. Responding deputies were unable to substantiate the assault. Mr. McSwiggan, who had no visible injuries, was subsequently arrested after deputies observed him vandalizing a car in the 8900 block of Santa Monica Boulevard. 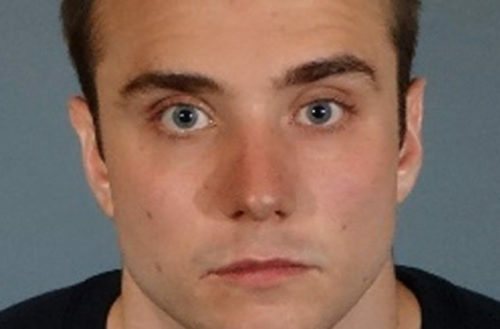 After being booked and photographed, Mr. McSwiggan was placed into a cell by himself at West Hollywood Station. Mr. McSwiggan was then observed injuring himself with the handle and receiver to a payphone inside the cell. Medical personnel were summoned and Mr. McSwiggan was transported to a local hospital for treatment. In November, 2016, McSwiggan plead guilty to felony vandalism and was sentenced to three years felony probation, 52 anger management counseling sessions and $7,000 in damages for vandalizing a car. 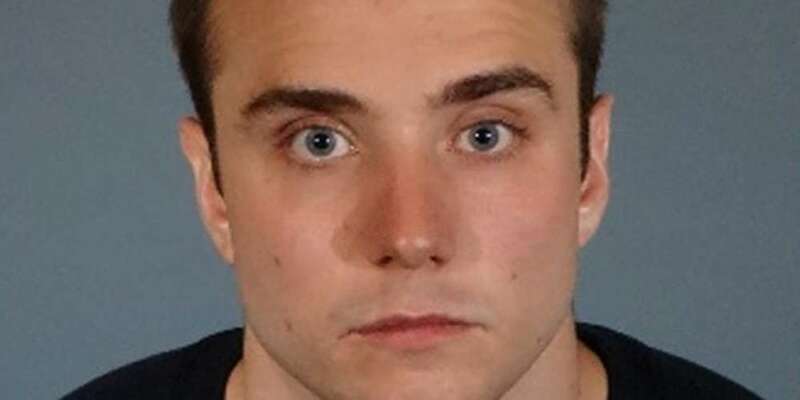 The LA County District Attorney’s office had originally accused McSwiggan of filing a fake police report. The DA’s office dropped the charges of filing a false report in order to pursue the felony vandalism charges. So why are people still endorsing him? McSwiggan just recently worked with London Pride on a video as part of its “Love Happens Here” campaign. He also marched with the YouTube float. When news broke of his involvement with the organization, including appearing at a meet-and-greet, Twitter took off. Do you think Calum Mcswiggan, a guy who faked a hate crime and lied about it, should be doing a meet and greet at Pride? Pride London discussed the YouTuber’s central role in the official Pride event a few months ago, aware that it might spark outrage. But McSwiggan never did apologize, as many people on Twitter have pointed out. Maybe you should have research that non-existent apology you claim happened. Obviously, Pride (or YouTube for that matter) doesn’t take hate crimes seriously. If they did, they wouldn’t endorse a person who tried to use one as a way to get more likes. McSwiggan – we get you made a mistake, albeit a really, really big one. But it’s not going to go away until you’re honest about it.